Note: If you register online before Saturday, November 17th, 2018, you will save $15! 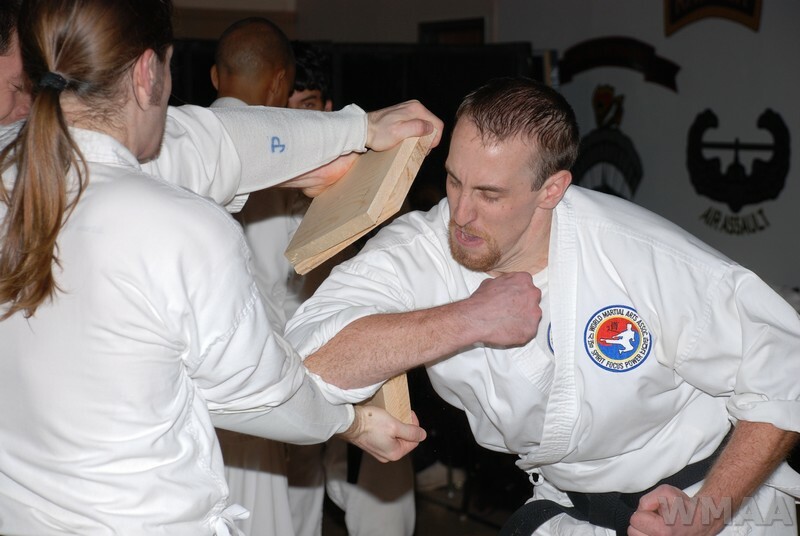 Mike Cunningham is teaching an adult Martial Arts class every Tuesday night from 7pm to 8pm. This hour concentrates on drills and exercises to not only enhance your Martial Arts skills, but also build core strength with plyometrics and flexibility with dynamic/static stretching. Also, the bag work is designed to sharpen your self-defense skills and increase your endurance. This class is opened to our organization, as well as any other adults who would enjoy the workout. Come join him and have some fun with a combination of new interval training and some of the old drills like kicking shields across the floor! ATTIRE: sneakers, sweats, shorts, etc. 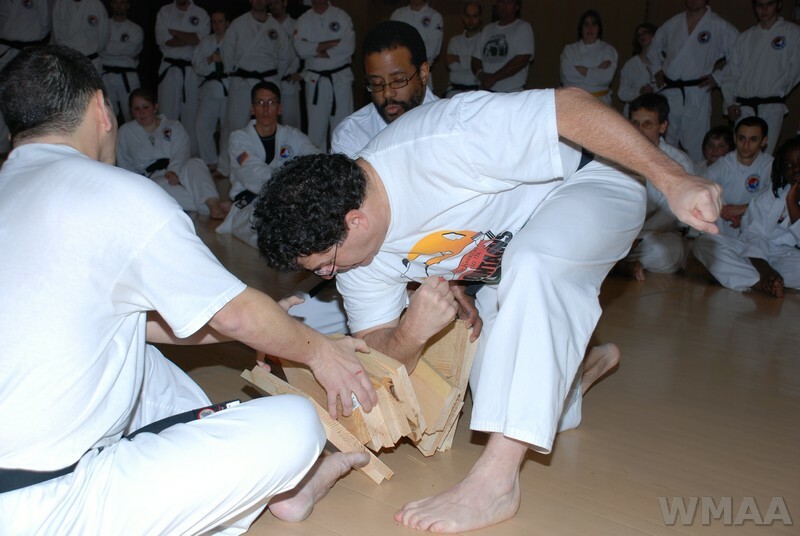 Visit our “Events” page to stay up to date on upcoming events such as the Fall 2011 Tournament and Black Belt Test including a very special event: The 7th Degree Black Belt Test. August 12, 2011 – Headmaster climbs another Adirondack High Peak. The headmaster and a group of black belts hiked Phelps Mountain, one of the Adirondack High Peaks. The hike was about ten miles long and the summit had an elevation over 4000′. The Adirondack High Peaks is the name given to 46 mountain peaks in the Adirondack Mountains of New York State. These mountains are around 4000′ or higher. The weather was beautiful and the hike was challenging. The group had to navigate through mud, tree roots, boulders, and more. At one point it was so steep, the climbing rope came out and was used to get above a rock face. The view from the summit was spectacular as several of the Adirondack great peaks were visible. Congratulations to the group for another sucessful hike. August 5, 2011 – Summer Trip is almost here. The annual WMAA Summer Trip is almost here. Tae Kwon Do practice, swimming, hiking, concerts, workshops, campfires and much, much, more. Sign up now. The annual children’s tournament was held today. 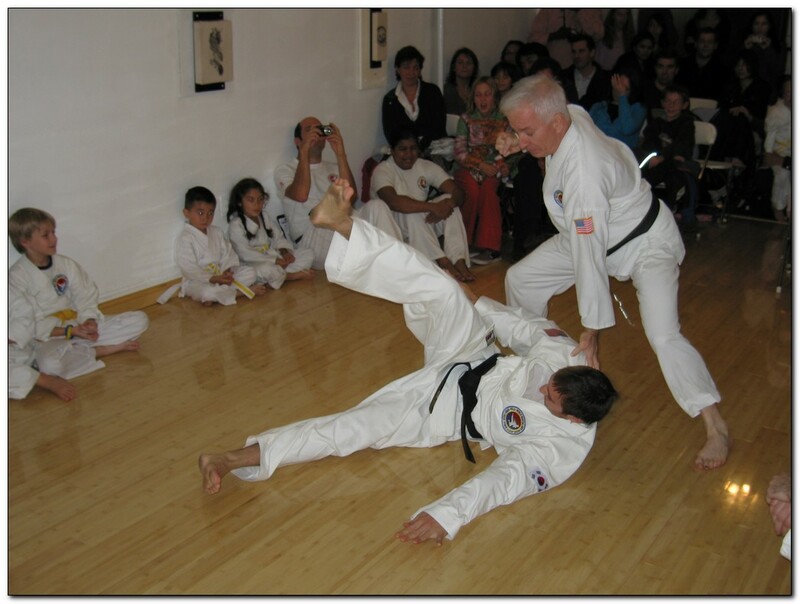 Children from various WMAA Tae Kwon Do schools participated in the tournament. 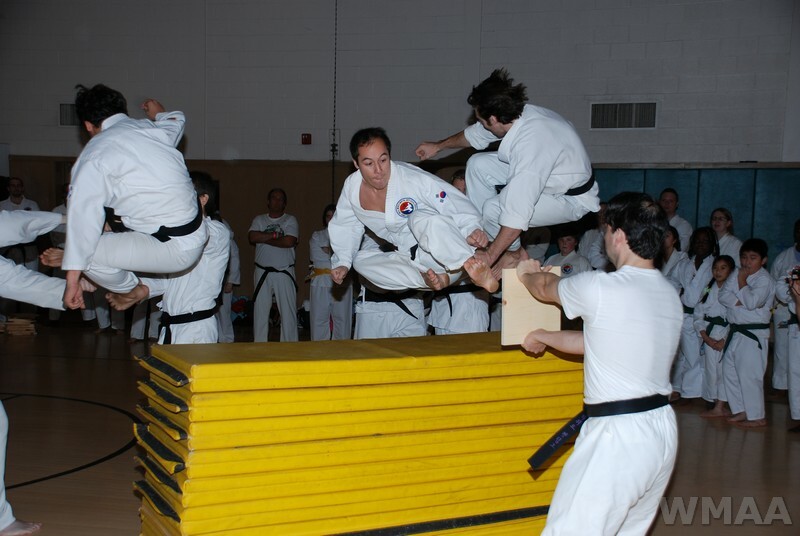 After the tournament a Junior Black Belt Test took place. 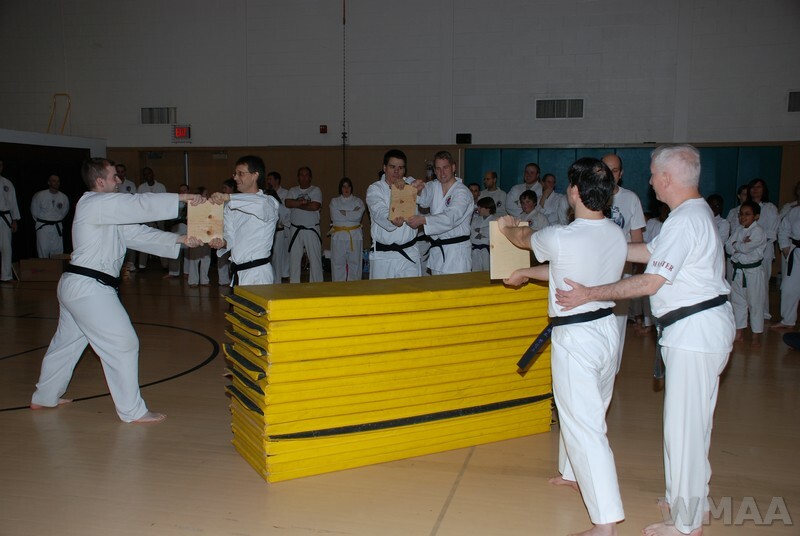 Twelve students passed their Black Belt Test. 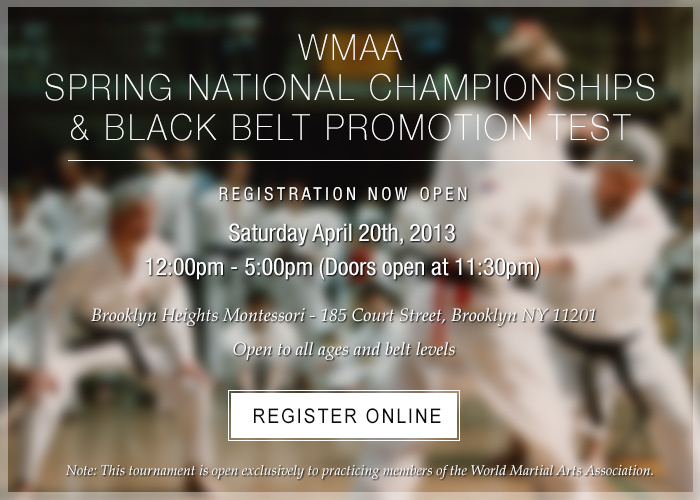 Congratulations to all the tournament participants and to the new Black Belts. 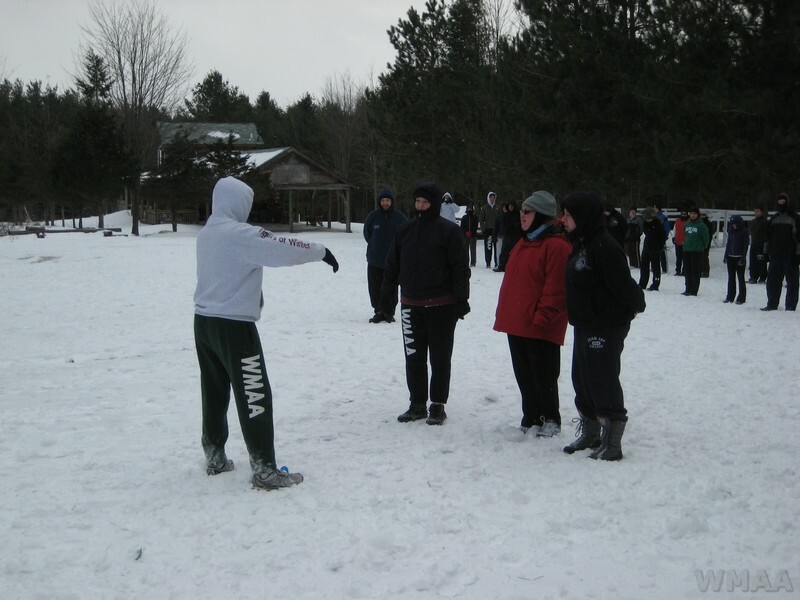 Black Belts from all over the country made the annual pilgrimage to the Catskill Mountains in New York State to practice with the Headmaster. The setting was a frozen tundra of ice and snow. The temperature was 18° plus 30 MPH winds which made it feel like -7° below zero. 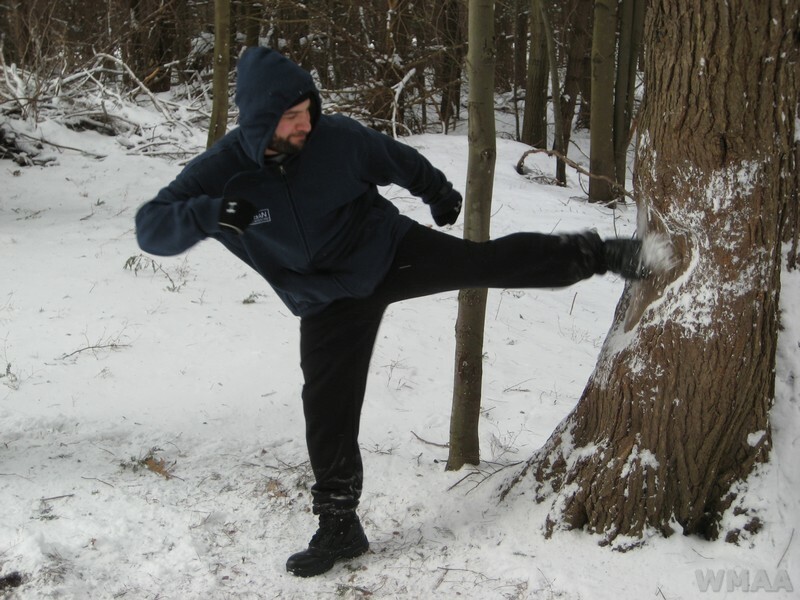 Approximately seventy five Black Belts practiced and trained outdoors. The fierce wind and snow reduced visibilty to almost zero at times. After the first practice, a second practice took place including a High Fourth Degree test. One student tested for High Fourth Degree, but everyone took part in the event. At the end of the test the Headmaster taught him the Fourth Degree form. He described the experience as exhilarating. Congratulations to all who made the trip. 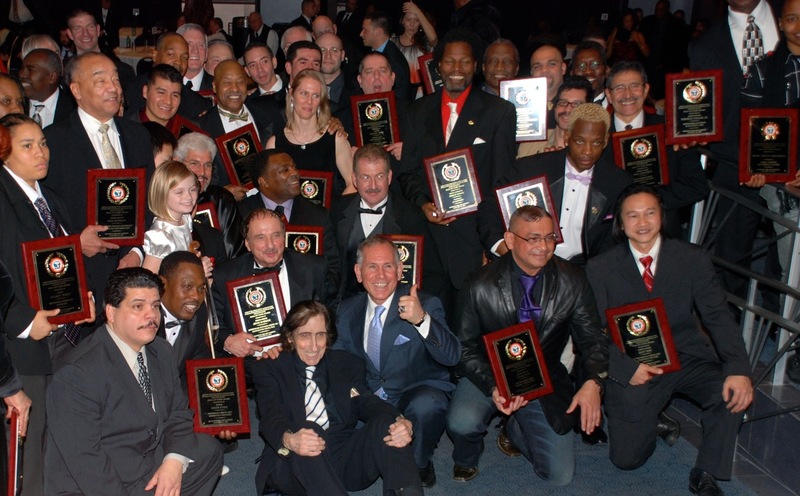 The World Professional Martial Arts Organization held their annual Hall of Fame awards today at Madison Square Garden in New York City. Headmaster Michael Dealy was present and was awarded the “Golden Pioneer of Martial Arts Forever Award” by Great Grandmaster Aaron Banks. 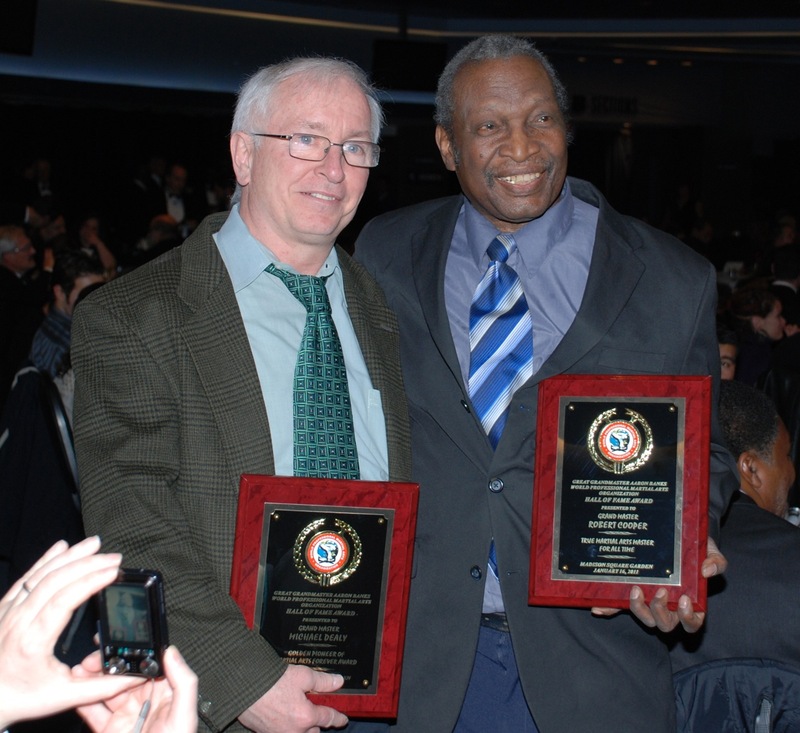 Fellow martial arts instructor and friend, Bob Cooper, was also present and was awarded the “True Martial Arts Master For All Time” award. 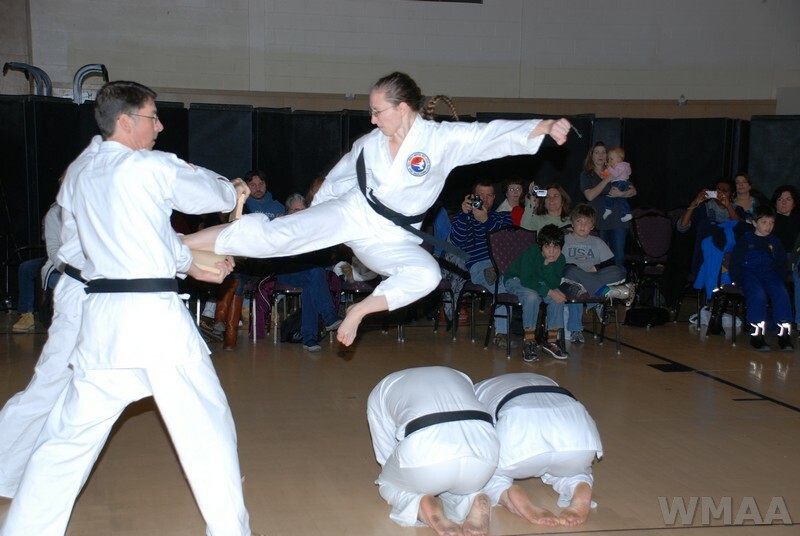 There were many prominent martial arts instructors present who received various awards for their dedication and commitment to teaching the martial arts. Congratulations to all the award winners. The S.U.N.Y. 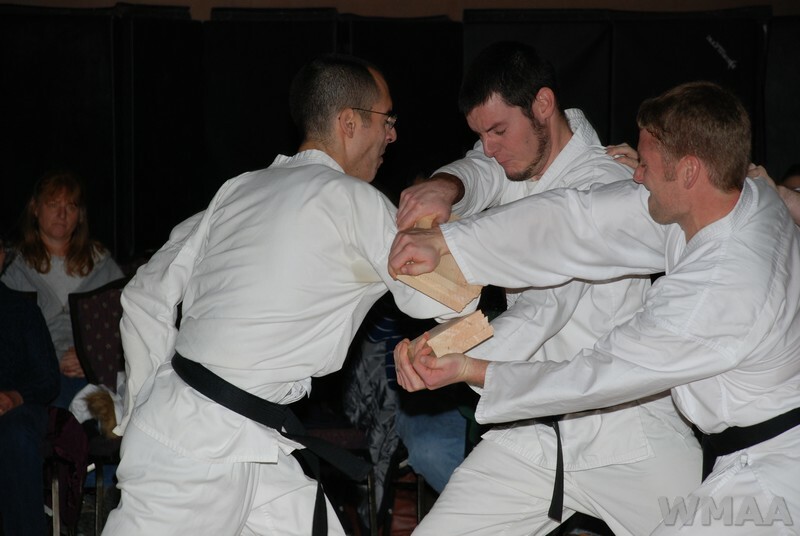 Brockport College Tae Kwon Do Club celebrated its 10th Anniversary this weekend. Today’s events will be etched in the pages of the WMAA history book forever. 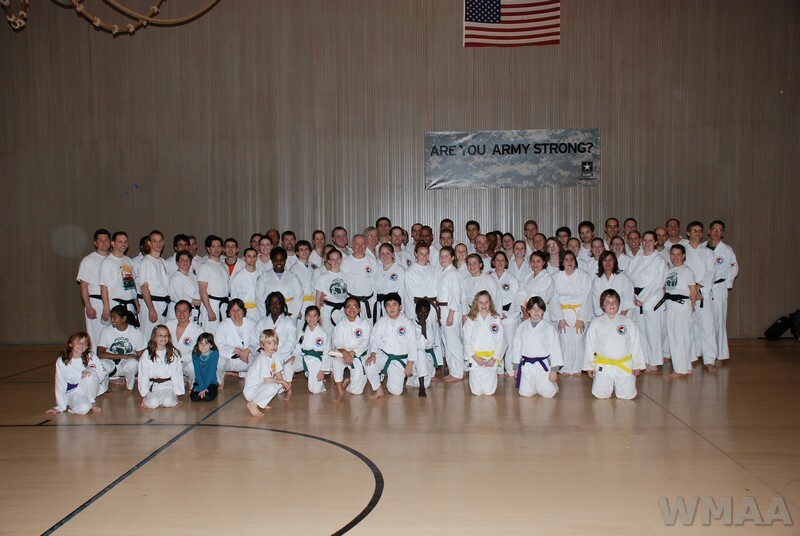 The TKD practice at Brockport College’s Cooper Hall had upwards of 80 practitioners in uniform from White Belt to 7th Degree Black Belt Master. Today was an amazing tribute to the solid foundation that Mike and Dawn Jones have built in the last decade in the Brockport area. The club started with its humble beginnings with two people ten years ago and has grown to include S.U.N.Y Cortland, Syracuse, and various places throughout Rochester and Buffalo. Tae Kwon Doists came from as far as Florida, Pennsylvania, New Jersey, and New York City to help celebrate this historic event. 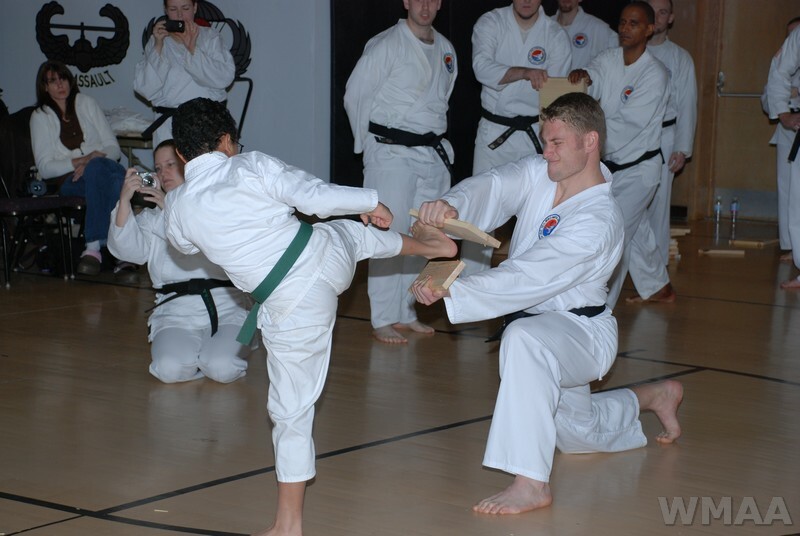 Over the years, the Tae Kwon Do students from the Brockport area have traveled to New York City, the Adirondacks, the Catskills, and Indiana for various WMAA events. Mike and Dawn Jones have been true inspirations to these students who have started teaching in other parts of Western New York State and who are dedicated to serving their community and volunteering their time to the betterment of others. Congratulations to all who have made the Brockport College Tae Kwon Do Club the great success it is today. This past weekend Matt Simmons (Miami, FLA) and Kenny Alwon (Houston, TX) completed the 7th degree black belt test. Congratulations to them and everyone else who took other degree black belt tests.